The main purpose of the Users Insights custom profile page is to put all the user information that your website holds into a single well-organized place. Your WordPress website contains surprisingly a lot of information about your users. The more obvious user data is the username, e-mail, user role and date registered. But there is also the more subtle user data, like the comments, posts, and pages that they have created. Additionally, there is a lot more user data that is created via 3rd party plugins. This includes user shopping data, community activity data, custom forms data, etc. There is also all the user data that Users Insights creates and collects. This includes the geolocation data, user activity and page views, device detection data, custom user fields, user groups and user notes. All this information is usually either hidden in the database or fragmented over different pages. That’s why we have created the user profile page, to gather all this user information in a single place. In this way, there is one place where you can get a detailed overview of your customer information and activity. Each user profile section can be accessed by clicking on the user listed in the Users Insights user table. The Users Insights profile page can be accessed by clicking on the username of each user from the user list. 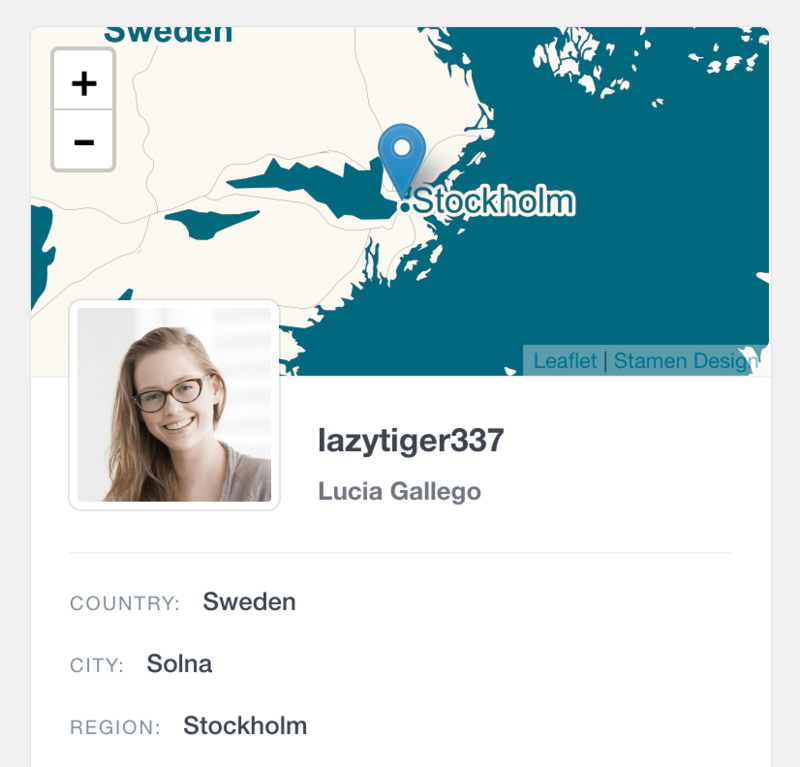 The first section of the WordPress custom user profile page includes general profile data. By default it includes the general WordPress user information, such as avatar, username, name, email, date registered and role. This information can be also accessed from the default WordPress user profile page, however combined with the rest of data from the Users Insights plugin, this profile page is a complete reference for the available user information on your WordPress installation. 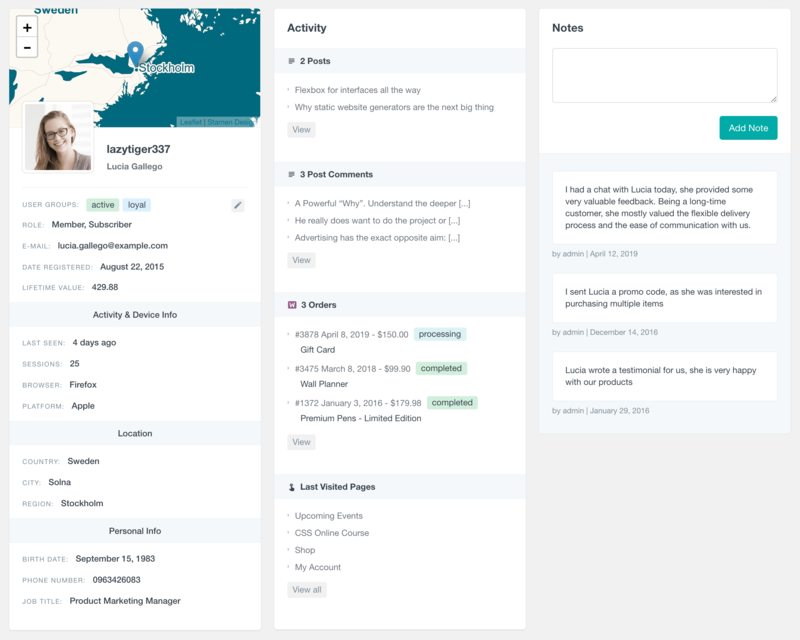 When the User Activity module is active, Users Insights will include the recorded activity of the user. This includes the Last Seen date, as well as the number of sessions. 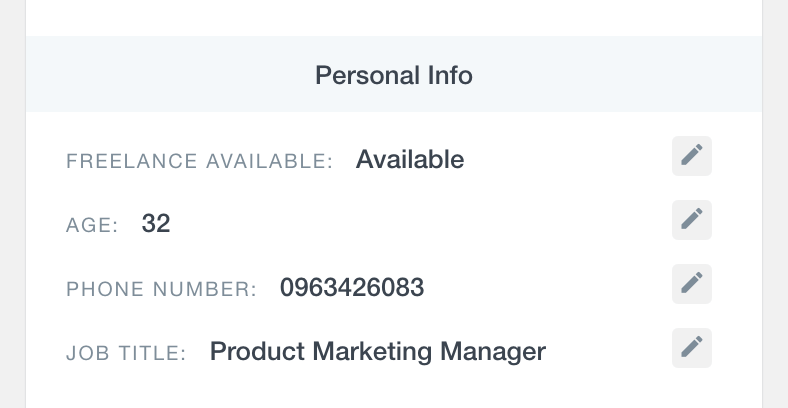 The General User Profile section also includes any profile fields from the supported 3rd party plugins. This includes user fields from plugins like BuddyPress, Ultimate Member, Profile Builder Pro and Gravity Forms. 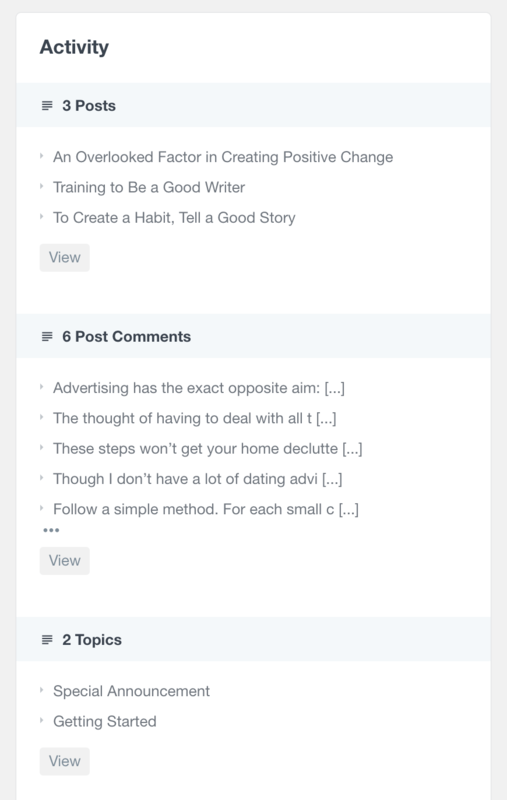 You can find the list of plugins that Users Insights supports on our Integrations page. 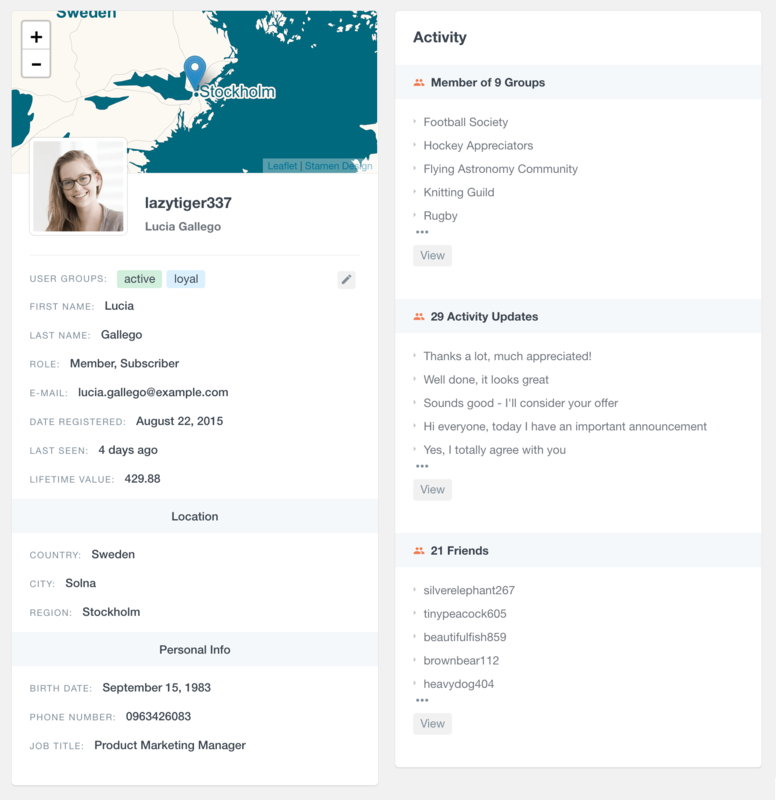 The key feature of the user profile section is the user activity list – it includes a list with all of the actions that the user has performed, such as posts created or comments posted. Users Insights will automatically detect registered custom post types, so if your theme or a plugin on your WordPress installation has registered a custom post type, the information for the created custom post types will be loaded on the custom user profile page. For a full list of all supported 3rd party plugins, head over to the Integrations page. 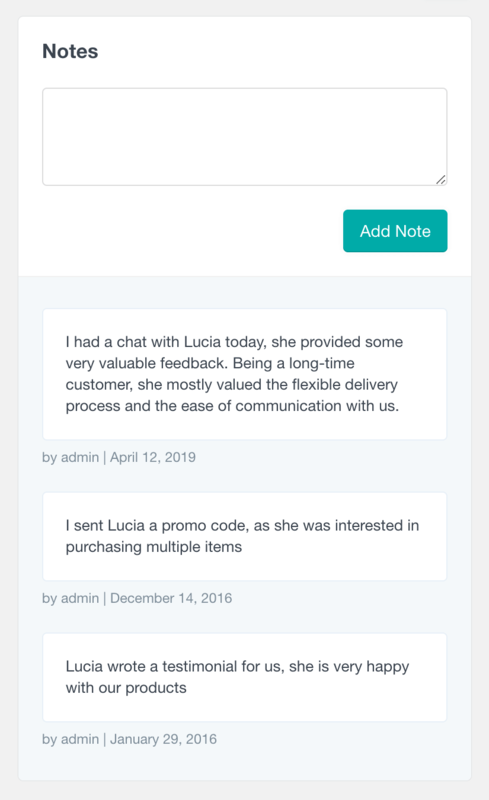 For example, if you are using WooCommerce, Users Insights will add the list of the user’s orders as well as any reviews that they might have left and any coupons used. 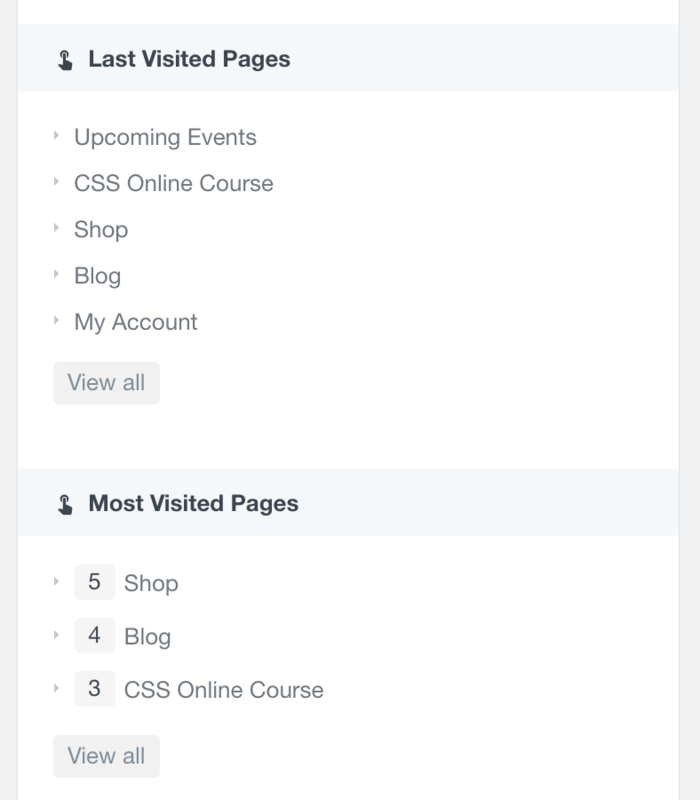 Users Insights also includes support for some of the most popular WooCommerce extensions, so depending on your setup, the activity section could also include data such as the user subscriptions, memberships and wishlist products. Or here is another example of the BuddyPress activity displayed in the user profile. The Users Insights activity list loads the list with the most recent activities, when more activities are available the list will include a link to a page that contains the full list with all of the existing activities. 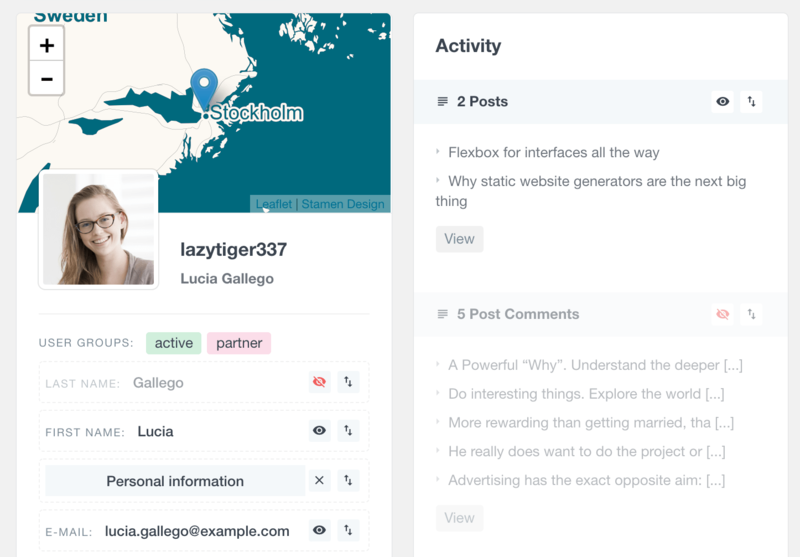 The Users Insights user profile page also includes a Notes section where you can add notes to each user. You can use the user notes feature to log any kind of activity, such as communications with the user or just custom user preferences. You can learn more about this feature on the User Notes page. The profile settings are user-based, which means that each administrator can apply their own configuration. In this way, every administrator can focus on the data that they need. For example, the Shop Managers might be only interested in the e-commerce elements and keep only those ones active, while the forum managers might be only interested in the topic activity. The user profile pages are loaded quickly and smoothly via AJAX, so that your page is not refreshed and your Users Insights user list state is saved between the navigations. The user profile pages also include a “Back to user list” button that would return the page to last state of the user list – for example, if you have applied some filters and if you have last browsed the users on page 5, going back will return to that last saved state. The user profile pages AJAX requests are also cached, so that if you open the same profile page within one page load, the second time the profile page is opened, the cached version will be displayed – it will load quickly without having to perform a new AJAX request. For your convenience, we have also implemented deeplinking for the user profile pages, so you can easily share links to profile pages with other administrators on your installation.